This week St George’s Hospital in Totting, which is one of the UKs Principal teaching hospitals, have had a new ScrubEx machine installed in their Emergency Department. St George’s have been using the ScrubEx machines in their main theatres for over a year and have seen a real benefit which is why they have installed another ScrubEx unit to control scrubs in their emergency department. 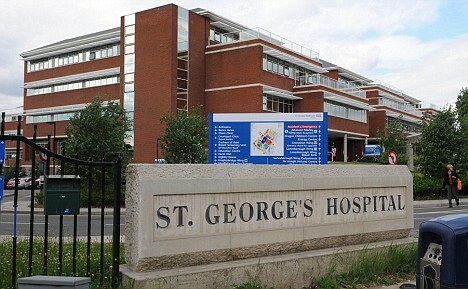 St George’s University Hospitals NHS Foundation Trust serves a population of 1.3 million across southwest London. A large number of services, such as cardiothoracic medicine and surgery, neurosciences and renal transplantation, also cover significant populations from Surrey and Sussex, totaling around 3.5 million people. Due to the successful roll out of ScrubEx in their Main Theatres and Emergency Department, St Georges will look to roll out more ScrubEx units in the near future in other departments with high scrubs usage.